Hank Phillippi Ryan: Okay, cutting to the chase. Isn't this a great cover? It's instant suspense, and you know there's a dilemma, a major choice, a desire, and whoever it is--is trying to find an answer through magic. I am so happy to see this! I critiqued Holly West's manuscript at CrimeBake ( I have no memory of what I said, specifically, but I know I liked it, a lot!) and now her debut MISTRESS OF FORTUNE is now out from Harlequin's Carina Press! Hurray! 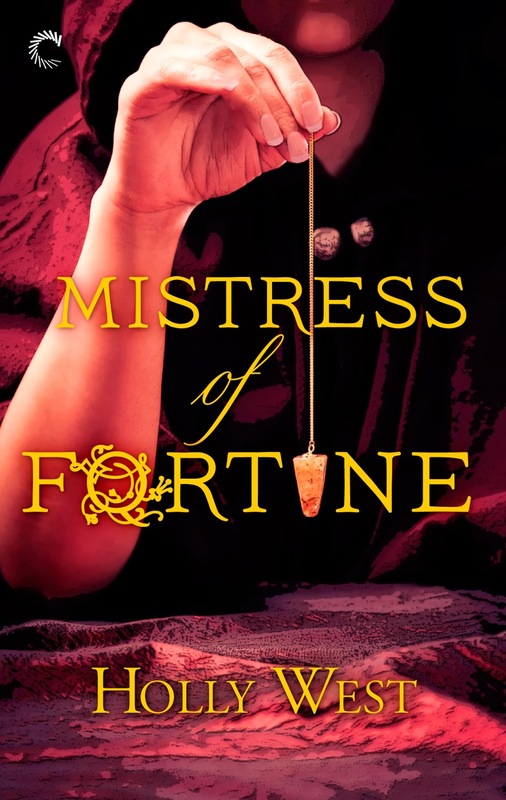 HOLLY WEST: My debut historical mystery, Mistress of Fortune, is set in late 17th century London and features amateur sleuth Isabel Wilde, a mistress to King Charles II who secretly makes her living as a fortuneteller. In truth, she’s a more of a charlatan. In her world, women have few enough advantages and she’s more than willing to make the most of those that she has; namely, cleverness, beauty and good intuition. I chose fortunetelling as her profession, not because of a personal belief that fortunetellers and the like possess a supernatural ability to predict the future or see the “other side,” but because I’m fascinated by the cultural traditions of soothsayers and healers, particularly “wise women.” During a time when medical science was in its infancy and only the rich could afford a physician, wise women were a valuable source of knowledge for the 17th century housewife, especially in rural areas. They acted as doctors, midwives, counselors, and caregivers. They were, in many ways, feminists before their time. Though Isabel Wilde isn’t exactly a wise woman, she does recommend various healing herbs and concoctions to her customers and offers sincere, practical advice when she can. If most women came to these professions with honest intentions, there were some whose motivations were not so pure. In my research, I came upon a French woman named Catherine Monvoisin (c. 1640-1680), nicknamed La Voisin. When her husband’s career as a jeweler went south, she turned to fortunetelling to support her family. While her paranormal abilities as a soothsayer might have been in question, her business acumen was not; she paid strict attention to her visitors’ requests and expanded her offerings to take advantage of their desires. She sold amulets filled with such mystical items as bones of toads, the dust of human remains, teeth of moles and Spanish fly. She prescribed “magic” rituals and arranged black masses so that her customers could worship the devil. She practiced medicine and midwifery, and performed abortions. Eventually, she began peddling poison. La Voisin’s predecessor, Guilia Tofana, had perfected the science of poison twenty years earlier. She was an Italian woman who developed an odorless, tasteless poison (likely a solution of arsenic) labeled Aqua Tofana to sell to women who wanted to murder their husbands. Perhaps her conscience was eased by the fact that her customers were mainly women ensnared in abusive marriages, but when she was finally apprehended, she confessed (under torture) to killing more than six hundred men with her poison. Both La Voisin and Tofana were immensely popular, so much so that when the papal authority called for Tofana’s arrest, a local church granted her sanctuary. La Voisin had many members of the aristocracy among her clients and became very rich as a result of her business. In the end, however, both women were executed; Tofana was put to death in the Campo di Fiori in Rome in 1659 and La Voisin was convicted of witchcraft and burnt in public at the Place de Greve in Paris on February 22, 1680. Wicked as they may have been, these women were savvy and made their way in a society that often treated females no better than livestock. Given the circumstances, I’m not sure this is something to be celebrated, but their stories are interesting. My heroine, Isabel Wilde, isn’t based on either La Voisin or Guilia Tofana, but the soothsayer who trained Isabel in the art of fortunetelling, Mary Bixby, is. But at heart, Isabel and Mary are both good people. It’s just that they understand their lot in life and can’t help pushing against their constraints. And, as crime fiction aficionados like us know, sometimes, that leads to murder. HANK: And now you're hooked, right? And what're your thoughts on "women's intuition"? Holly West is the author of the Mistress of Fortune series (Carina Press). The first in the series, Mistress of Fortune, was published in February 2014 and the second, Mistress of Lies, will be released in Fall 2014. She’s currently writing her third book, a stand-alone crime novel set in 1948 Philadelphia. Holly lives, reads, and writes in Los Angeles with her husband, Mick, and dog, Stella. Congratulations to you, Holly . . . your book sounds quite intriguing. Women’s intuition . . . definitely something to be respected. In a world where women’s contributions were neither sought nor valued, intuition quite probably made a significant difference for those willing to listen to it. I imagine it’s still doing that very same thing today . . . .
Oh, I am so hooked, Holly. Fortune tellers have always fascinated me, and I love reading about women who were able to find a toe hold in the male dominated society of these early centuries. A woman's intuition should never be taken lightly, and, with the risk of making this topic a man vs. woman one, it usually isn't by other women. I can remember when my kids were little, and my intuition was telling me that they both had pneumonia. My husband and our male pharmacist friend actually laughed at me when I said I thought that was what was wrong. Well, a trip to the doctor the next confirmed my diagnosis. Where a woman's children are concerned, intuition should never be dismissed. Hank, I have to tell you that I really enjoyed your comments in Holly's piece, and they mirrored my own. 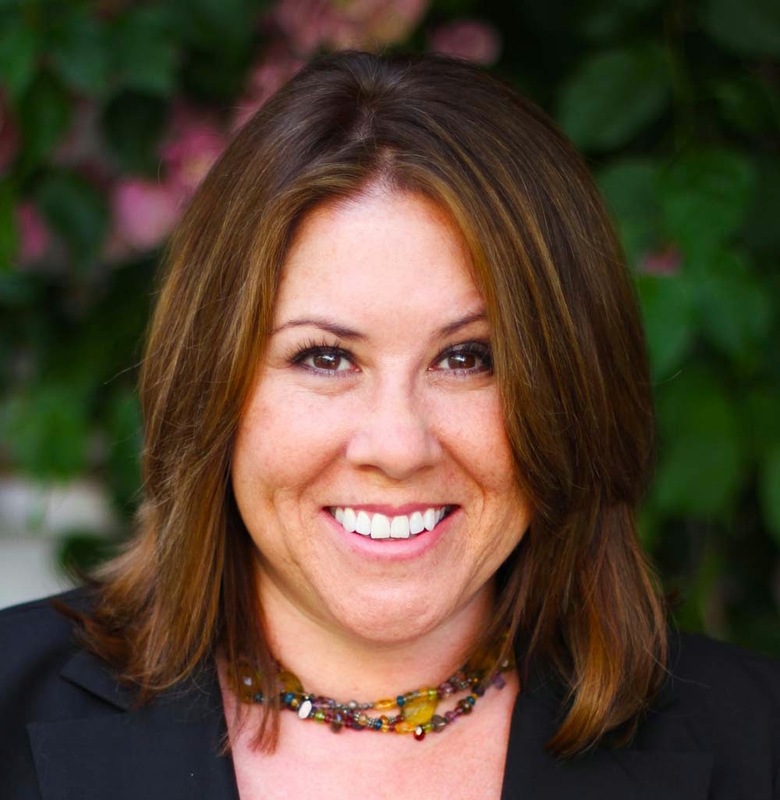 Thanks Holly for a great introduction to your book and discussion on the powerful tool of women's intuition. Ooh, looks wonderful Holly! i love the secret ingredient for killing husbands--take it there must have been quite a few who needed that treatment! Congratulations and many book sales! Sounds like an interesting book, but I have to admit, when I first saw the cover, I thought that what she was dangling was a tampon. Holly, what an intriguing story, and interesting characters both real and fictional. Best of luck with your series. Perhaps because I am male I have a slightly different take on intuition. I suspect intuition (such as Kathy Reel's example) is really based on knowledge and experience, but often derived in ways the power structure does not appreciate or understand. Dragnet's "Just the facts, ma'am" is often drilled into us starting when we are very young, so we diminsh the value of understanding that we can't "back up with facts." As a trivial example of this, my partner, Jan, and I were recently on a car trip passing a field of plants neither of us had ever seen before. From "nowhere" I said, "I wonder if its sorghum." Our smartphone confirmed my guess. I suspect the world would be much better off if we paid more attention to our intuition and a bit less to our "facts." Hearty congrats, Holly — your novel sounds fabulous! Have you ever read Judith Merkle Riley's THE ORACLE GLASS? Some of the same characters/very different take on women and fortune-telling. Hooked? Absolutely! I'm gong to get this book now. You ladies have GOT to stop bringing these new books to our attention. My TBR pile is already overloaded and the books just keep piling up. Seriously though, this sounds like a great premise for a novel Holly. And this blog post is going to certainly bring readers to the story. Off to order this (hoping to squeeze it in around blog requirements). Congratulations, Holly! This sounds like a fascinating book. This perspective on how women historically have supported each other (especially in devising ways to protect friends and sisters from abuse) is compelling. Kristopher, I was thinking exactly the same thing! So many really good books! Ooh, 600 abusive (or not) husbands felled by poison. The mind boggles. And my answer is "yes, definitely", and entrepreneurs, too. Smart women had to make their own paths, didn't they? Midwives, wise women, matchmakers--all taking advantage of specialized knowledge to make themselves more independent. So interesting, the historical background on this. Ours is definitely a much easier time to be a woman. Female intuition? It's like my "gaydar" - often wrong. Though when my husband and I go to a party, I notice all emotional dynamics (couples not getting along, who looks unwell...) and he remembers what he ate. As to intuition--perhaps one way to look at it is that women often pay attention to the smaller, more subtle things going on (whether consciously or not) and then can make connections that others might not see. Running in--and a quick off topic question--if MACs are so great, why did I have to wait a week to get an appointment at the genius bar? Just asking. ANyway--I cannot tell you how valuable "intuition" has been in my years as a reporter. But is that-=-experience? Fear? Planning? I used to marvel at how my mother always new everything--and now I kind of..understand. HOw often have i said to someone--what's wrong? and they'll say--nothing, why? And then it turns out there absolutely is something. We see the body language, the look in the eye, the slump of a shoulder. And--yeah, we care about it. And yes, I always say to Jonathan, whoa, those people are UN-happy. And he is always baffled. Congratulations, Holly! I read the book already and enjoyed it! The book sounds fantastic, Holly, and the cover. Congratulations! AND THE WINNER of SOUTHER HEAT is Amy Mackin! And hurray for the fab Leslie Budewitz--David Burnsworth suggested a car for one of her characters--and she may use it! Never a dull moment at Jungle Red. Great idea, great historical period, and I love Hank's take on the "first feminists." I think what we call "women's intuition" is bio-genetics. Newborn girls respond to human faces and expressions, boys respond to objects. We are wired to pick up on emotions and on physical cues--like "Ooh, that couple at the party are NOT happy." Very useful for a fortune teller! Thanks, everyone! What a wonderful community this is. Thanks to Hank for inviting me to write a post. Oh yes, I'm hooked. Jungle Reds, you never disappoint, and so often point me in a direction I wouldn't have gone on my own. More for the TBR list. Intuition? Oh yeah. Can't explain it, just glad to have it. Sounds like a great read. i really enjoy historical fiction and crime fiction so this is a great blend. I can't wait to read this, Holly! p.s. - Reds? you guys are costing me a lot of money lately . . .
NOT that I'm complaining . . . just sayin' . . .
Oh, Holly,you and all the other guest authors from this week (not to mention the ones from previous weeks) are making it difficult for me to stick to my determination to read ALL, or at least MOST, of the unread books in my Kindle and tumbling out of my bookcases before buying any additional books! It is SO difficult to resist the temptation to buy new books before reading the ones I haven't gotten to yet. And yours sounds intriguing! I love reading JRW! It's like sitting in on a seminar, just soaking up the combined wisdom of the presenters and other participants. I don't know if you can analyze intuition. It seems to be the ability to draw a conclusion without actively thinking about the issue at hand. Maybe? I read The Oracle Glass also. So I look forward to reading Mistress of Fortune to see how Isabel fares.